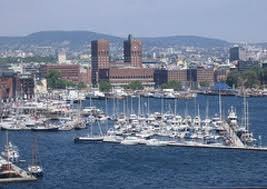 Oslo happens to be Norway’s capital and also its largest city, but these are not the only things it is known for. Oslo’s museums and parks are definitely world-class and always worth seeing. 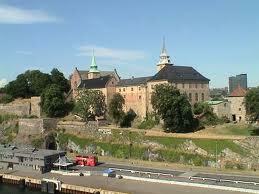 The Akershus Castle, in particular, stands as a landmark in Oslo. You shouldn’t miss it for anything. The castle used to serve as a prison during the second world war, but now it plays host to the Resistance Museum depicting the occupation of the Germans in Norway. Take time to visit the dark dungeons, banquet halls and staterooms that are housed within the castle – you will be awed, for sure. Come summertime, the castle grounds are used for many outdoor events. Experience true Norweigan heritage at the Norweigan Folk Museum. Set amidst sight-captivating surroundings, the Museum features many things that characterize Norweigan culture and heritage. Here you’ll find the wooden stave church dating as far back as the 11th century as well. The Kon-Tiki Museum is worth seeing, too, if only to see the balsa-log raft used by Scientist Thor Heyerdahl during his voyage from Peru Polynesia. But there’s plenty to experience in the museum, as well – artifacts from East Polynesia, Peru, and Galapagos, and lava statues from the Easter Island, among others. Make use of the interactive touch screen guide to help you get around. Other notable museums to see in Oslo are the Viking Ship Museum which contains the world’s three best-preserved Viking ships, the Munch Museum featuring the many artworks of Munch, including his best work, The Scream, and the Barnekunst Museum also known as the International Children’s Art Museum. Done with Museum hopping? Visit Radhuset, Oslo’s City Hall, referred to by many as Norway’s pride. Not every one thinks that way, though, so see for yourself what you make out of the murals, frescoes, sculptures, and wood carvings. Spend time to see Slottsparken, too. Slottsparken is a park surrounding the Royal Palace. Witness the changing of the guard at 1:30 pm, and see why it is always such a big deal. If you happen to visit Oslo during summertime, don’t fail to see Vigeland Sculpture Park which features granite, bronze and iron sculptures of the cycle of life as envisioned by Adolf Gustav Vineland.